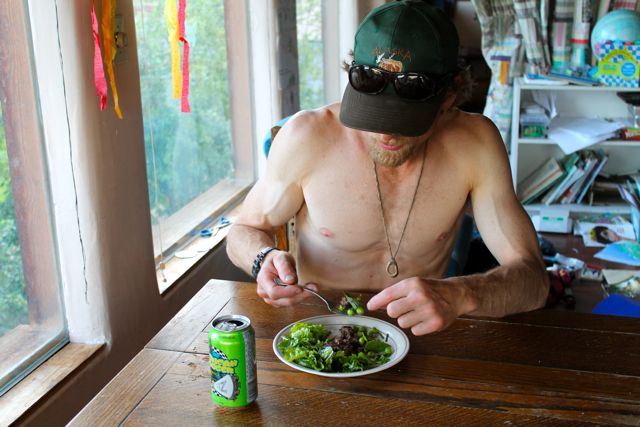 Just like that, we’re back in sandals, shirtless (some of us), eating mule deer steak and what I like to call toothy garden greens. Within 5 minutes of arriving home (after nestling the salmon safely into the freezer, hallelujah), I was in the garden fawning over broccoli heads and pulling weeds, half of which went into the salad bowl; Rose picked and shelled every last ripe pea pod while ecstatically drinking an emergen-C out of Dan’s empty beer can; Col scurried around the yard, devising a trap for the raccoon that (presumedly) killed our chicken while we were away; Dan disappeared into the root-cellar-in-progress to check for slumping. The sky was sheer blue until the clouds thundered in, delivering rain like a special package, and everyone sang their own version of the song, paradise. Rose reunited with Karen, who lives downstairs. These two LOVE each other. When you ask Rose what she likes to do with Karen, Rose replies: we paint nails, eat crackers, drink fizzy water and talk. 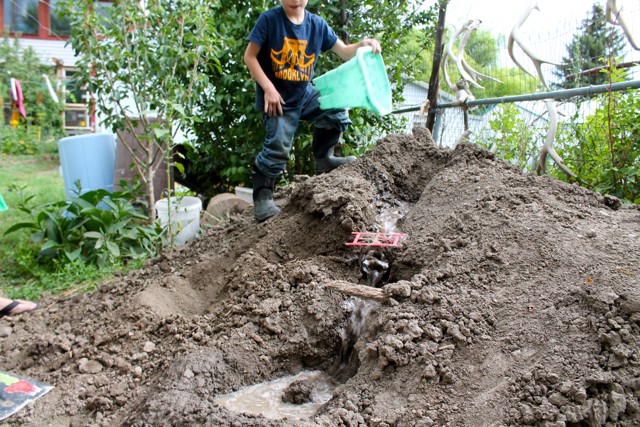 The joy of ones own home dirt pile should never be underestimated. 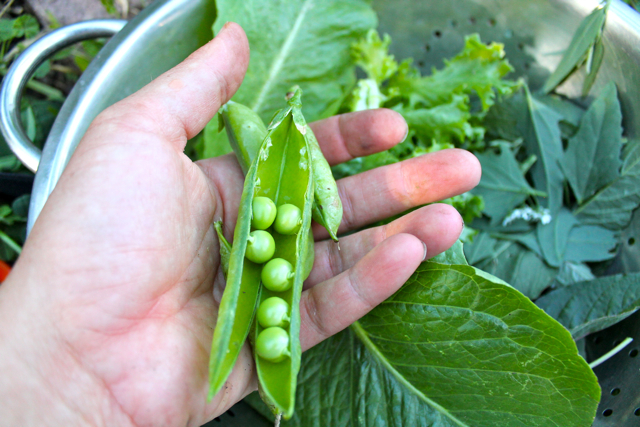 Lambs quarters in the colander – one of our favorite salad weeds. 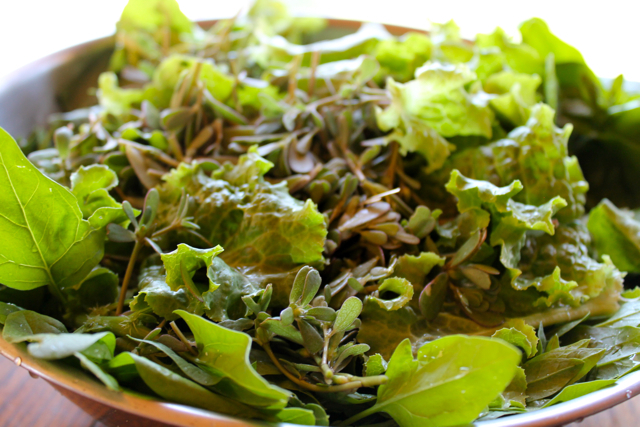 Also, purslane – little nugs of omega 3’s. 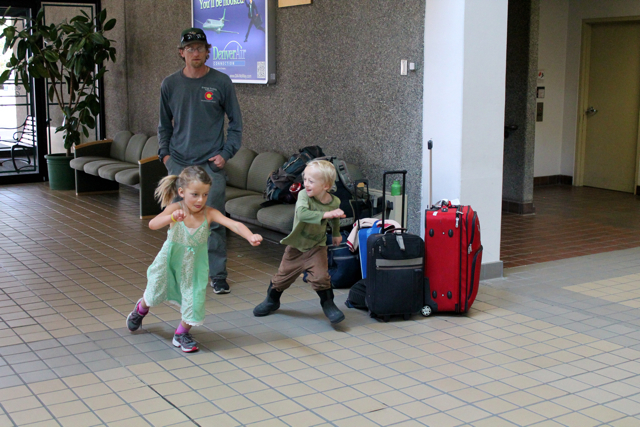 Grand Junction, CO airport: foot races. 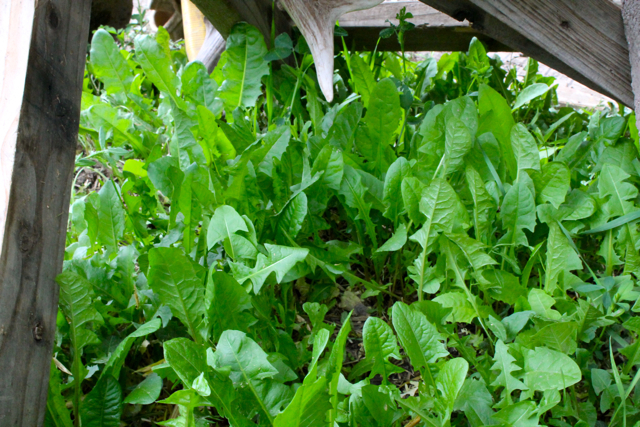 Tender new dandelion shoots discovered popping up in the shade! Dandelion pesto recipe here. 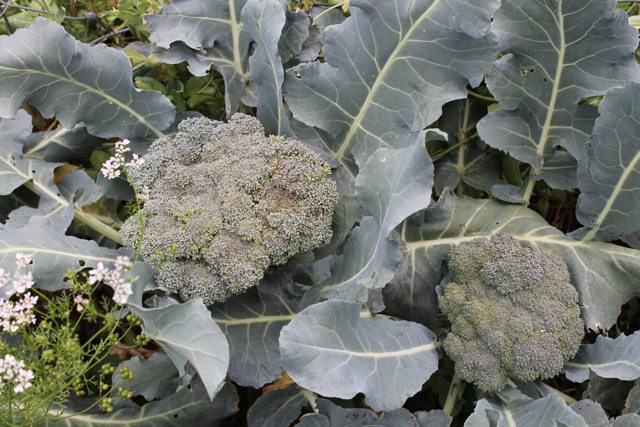 What would you do with 8 heads of broccoli all ripening at once? Poster boy for leafy greens. Raise your hand if your long term partner still makes you weak in the knees. Happy late summer to you all; hoping you’re still deep in summer-euphoria and not thinking about the upcoming school year (yikes!) too much. * also, I’m currently writing a story about the Paleo Diet. Anyone had any notable results or interesting tidbits from following this diet? 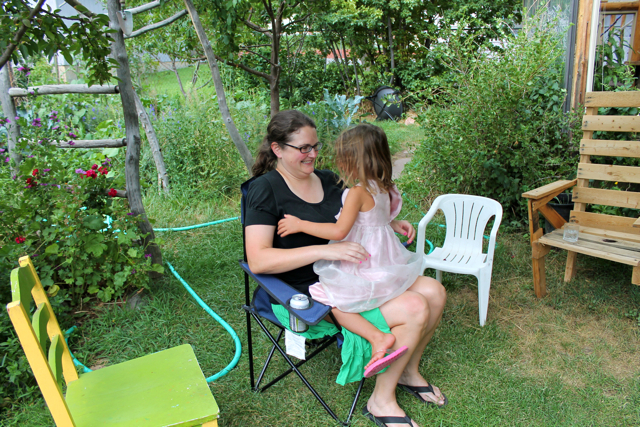 * also #2, I’m teaching a FREE class at DNF next Tuesday, July 31st at Durango Natural Foods, 6-7pm. The topic is: Plant Identification. Dissect a flower and suss out its anthers! Always so good to be home. Glad you had safe travels. I want to bite my computer screen to taste an apricot. *hand raised* and waving wildly. welcome rachel!!! we are actually just beginning our paleo journey, transitioning from a traditional foods diet (think weston a. price foundation). we have one child with gluten intolerance, one allergic to nuts with a couple of other issues that we hope will be helped by cutting out grains and sugar. so i have nothing to report other than the fact the first days were rough, especially for my girl that has a love affair with carbs. we’ll survive. I love broccoli salad. Blanch (a lot of recipes call for it raw, but I like it softened just a bit), add nuts, dried fruit, bacon if you are feeling indulgent, some kind of mayo/buttermilk/yogurt/sour cream/honey/vinegar make it up as you go along dressing. Yum. Sorry about your chicken. Darn. My hand is waving in the air – can you see it all the way from here? Isn’t it amazing to step back into your familiar space – love walking through the door after being away. And your beginning story cracked me up. Seriously, still laughing..
Ha, I often laugh out loud when I read your blog, but the first paragraph of this entry beats ’em all! home is so good. glad you had a good trip away, too! 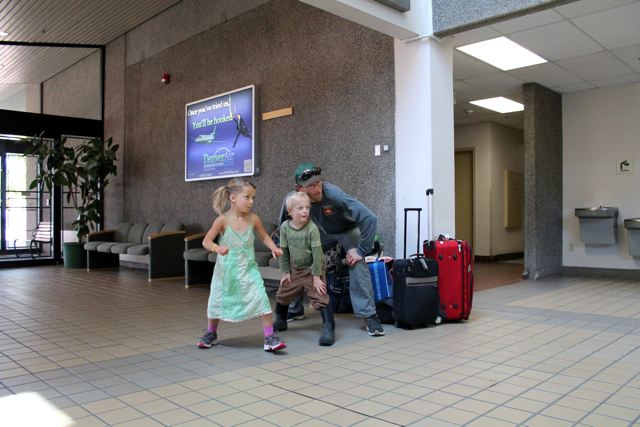 we are heading out for our first family camp/road trip up to Eugene and Portland–ever camped at Patrick’s Point (in or near Arcata, I think. Leeor is the planner and yes, still weak in the knees over here)? Wait, the raccoon killed all your chicken or just one? yikes. We totally camped and hiked at Patrick’s Point. Also Gold Bluffs Beach on the coast with marauding tule elk and a 18 month old boy. Oh, now I’m all nostalgic. Enjoy, Melissa, and not that you are starved for Farmers markets in the Bay Area, but if you can make the Saturday morning Arcata market, OMG. Swoon. i doubt 7 months counts as “long term” but i have long term aspirations so i’ll raise my hand. one of my favorite things about your blog is you-and-dan. i’d blanch and freeze broccoli, but i’d make a big ole pot of cream of broc soup first, with some of that there raw milk you obtain. i like to thicken with potatoes. not sure if it’s the right weather for it but it’s my favorite soup. my broccoli won’t be ready for a while yet but i could make kale soup by the barrel. 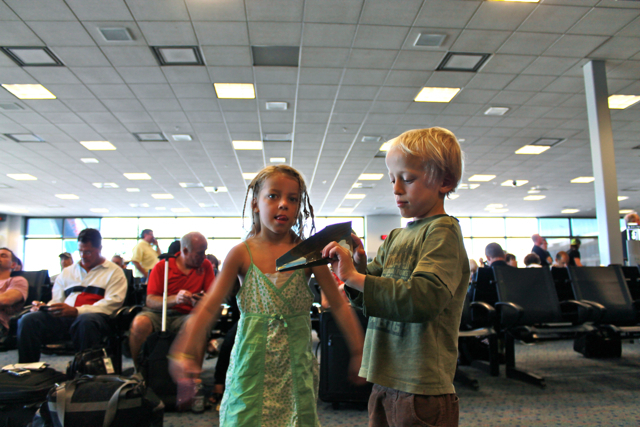 Your children are adorable. Your adventure sounds like a lot of fun. I can tell your family is full of awesomeness! Welcome home my favorite mountain family! 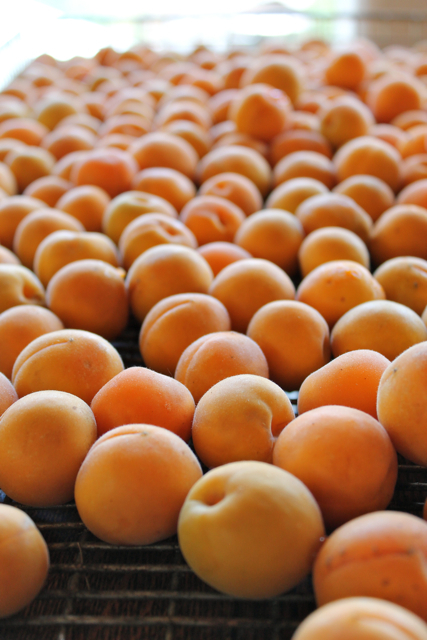 Oh those apricots. And dandelions! And broccoli! You sure know how to make a girl smile. Wow, double weak knees, honey, we should lie down…I love your camera, writing, blog, salmon/egg sandwich appetite, flourishing hair, smart eyes, juicy lips, handy shovel, smoothies, toe rubs in bed. I’m not a “regular” but I love your commentary on your life! &, if your still interested, I eat paleo ;o) I imagine with your gardening, hunting, gathering & preserving you really can be true to the paleo philosophy. Would love to read your piece when publsihed. Thanks. The piece will be published in our local Edible mag. Do you live round these parts?